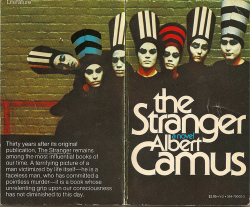 One of the best works of fiction to explore the moral ambiguities of capital punishment in the 20th century is Albert Camus’ short, accomplished novel The Outsider (or L‘Étranger in the original). A nameless Arab is murdered on a beach in 1940s Algiers, by an apparently motiveless Franco-Algerian man named Meursault. A death sentence is passed, and the murderer awaits execution in a state of disinterested anomie. 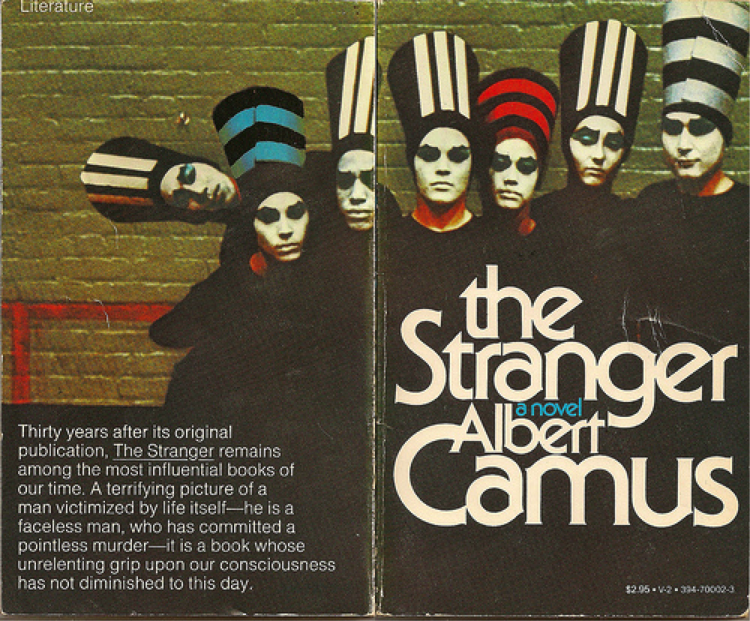 The novel is hailed as one of the few truly great fictional expositions of the ‘existential’ or ‘absurd’ branch of thought that dominated the French literary world at the time of its release. Camus was himself haunted by the idea of executions, so much so that he wrote a book on the subject; Reflections on the Guillotine. His father, upon witnessing a public beheading, felt nauseous and sullied afterwards, and this moral revulsion survived into the next generation, landing in the hands of his talented wordsmith of a son. 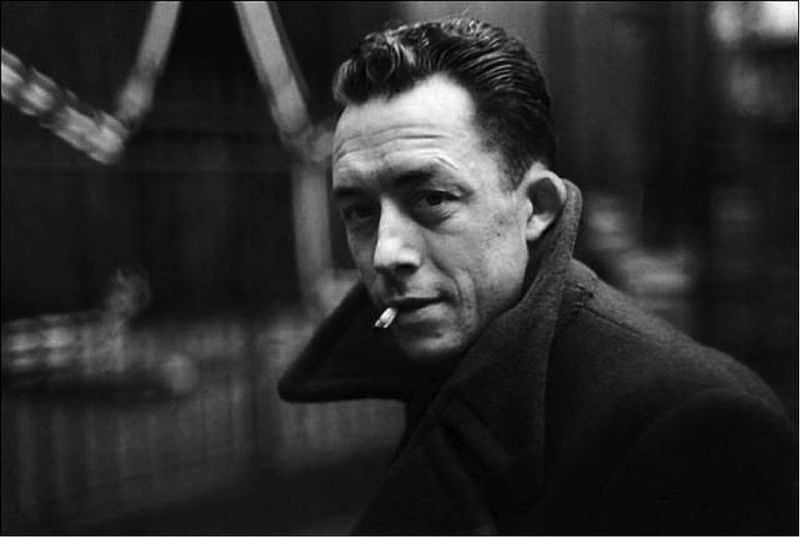 Fierce political outrage and genuine literary talent rarely coexist in one body; Camus was one of the few exceptions. He believed state executions to be the most premeditated of all crimes, the ultimate symbol of the power of the state over the individual. Despite yearning for complete abolition of the death penalty internationally, he realised that this would be a painfully gradual process. As a starting point, he suggested outlawing the guillotine and introducing the lethal injection, specifically in France and Algeria. In the 1940s, Algeria was a département of colonial France. Since then, France has seen itself stripped of most of its colonies, including Algeria, which won independence in 1962. France carried out its final execution fifteen years later, following the example set by Britain in 1964. The US is now the only Western country that still claims the lives of several dozen of its prisoners every year. It has heeded Camus’ advice, replacing most of its electric chairs and gas chambers with a poisonous cocktail known as the lethal injection. The guillotine, which awaits Meursault was once touted as a ‘humane’ and ‘clean’ method of beheading those deemed unfit for life; the lethal injection is now defended in similar terms. Though Camus and others are deservedly renowned for having produced the definitive body of anti-capital punishment literature, these moral considerations, arguments over whether or not a state should have such ultimate power over an individual, are secondary. A genuinely ‘humane’ method of execution is an inherently contradictory concept, unbecoming of any nation that aspires to the epithet of “civilised”. A good measure of the “civility” of a state is how it treats those who have broken its laws. Unfortunately, death penalty abolitionists are often smeared and derided as “bleeding heart liberals” who mourn the execution of murderers. Aside from pointing out that scores of innocents have lost their lives to capital punishment, most notably in Britain where frequent miscarriages of justice led to its eventual abolition, other failings of the death penalty leave it indefensible. The current process of appeal in the US is laden with legal machinations and bureaucratic complexities; it prolongs, rather than alleviates the suffering of the victim’s families – at great expense to the taxpayer. Moreover, the death penalty is still often glibly referred to as a deterrent in spite of statistics which have shown that, as in Meursault’s case, most murders are not premeditated at all. The actual method of execution employed, the lethal injection, involves a squalid collaboration between the medical profession and the state’s apparatus of death. Horrifying stories about botched executions that have left prisoners writhing in agony are now commonplace. The recipe for this ‘humane’ cocktail, it turns out, is regularly altered to suit economic availability. But perhaps the most shameful fact about capital punishment in America is its racist and classist character. It has been pointed out that Meursault, a Franco-Algerian man in 1940s Algeria, would have been very unlikely to be sentenced to death for the killing of an Arab. If the roles had been reversed, and the pied-noir had himself been shot down, it is not difficult to have a guess at what the fate of the Arab would have been. Whether this oversight was due to ignorance or wilful blindness on the part of Camus, I do not know. In the US today, a vastly disproportionate number of those sentenced to death are people of colour. As if that weren’t enough, the poorest in society often have no choice but to be defended by the worst of lawyers, and the mentally ill are forced to take humiliating, pseudo-scientific IQ tests to determine their ‘suitability’ for execution. I have focused on the US because its government talks a lot of cant about human rights, but Iran and China have far worse records in these matters. North Korea does not even publish statistics on its own use of the death penalty, and our nominal ‘ally’ in the Middle East, Saudi Arabia, still makes grim public spectacles out of the beheading of homosexuals and the stoning to death of adulterers. Camus ends Reflections on the Guillotine on a tone of melancholic optimism: “In the unified Europe of the future the solemn abolition of the death penalty ought to be the first article of the European Code we all hope for.” For all its faults, Camus would be proud of the fact that the European Union does contain such an article in its Charter of Fundamental Rights, and has been strict and noble in upholding it. Even Turkey has had to dismantle its collection of gallows just to begin its still-ongoing membership application. This, at least, is something the European Union can be proud of, and it is my own hope that the US Supreme Court will soon deliver the coup de grâce to this morally bankrupt, economically senseless, and racially prejudiced institution.